Randolph Ranger lenses provide 100% protection from harmful UV radiation and are molded above industry standard thickness for your protection. Randolph's dedication to lens quality ensures their lenses provide the best optical definition and clarity. 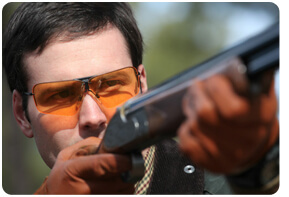 Unlike other shooting lenses, Randolph Rangers are made with distortion-free optical-grade polycarbonate. This gives you the level of protection you need while not compromising the quality of your vision. Handcrafted in the USA using the finest components found worldwide.